WFI2033-4723 is among the five best lensed quasars discovered to date. 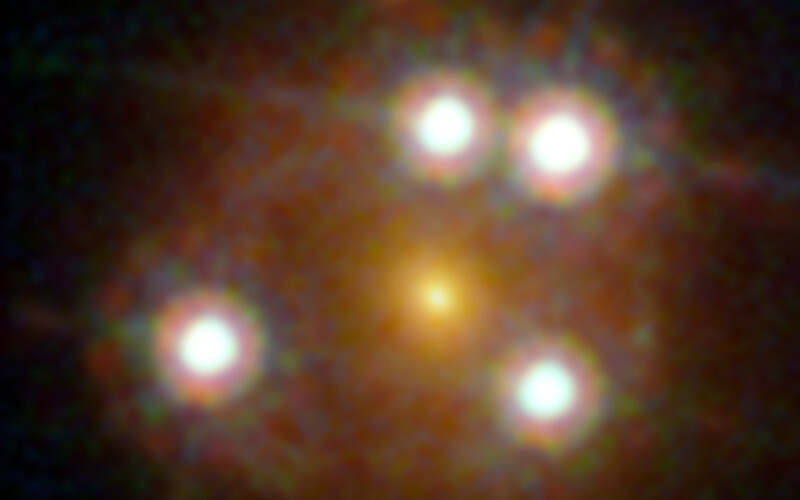 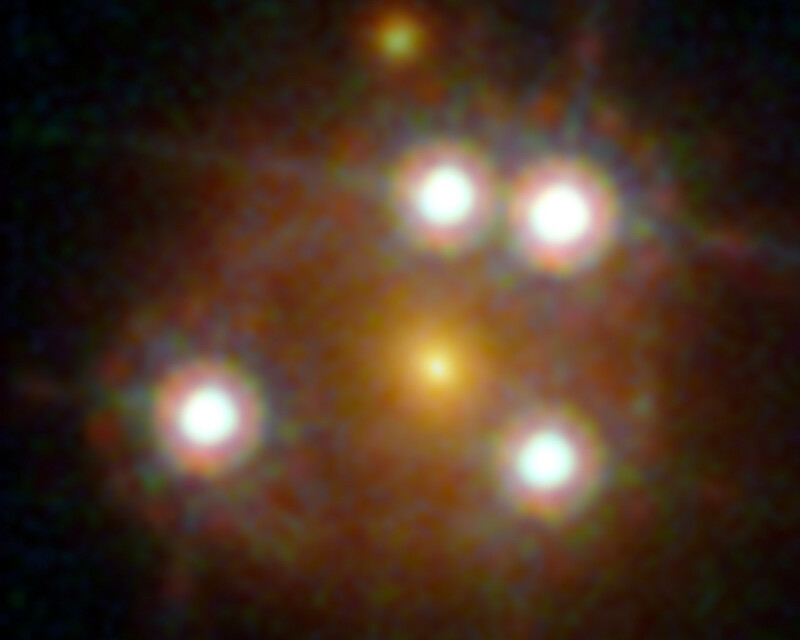 The foreground galaxy creates four distinct images of the distant quasar around it. 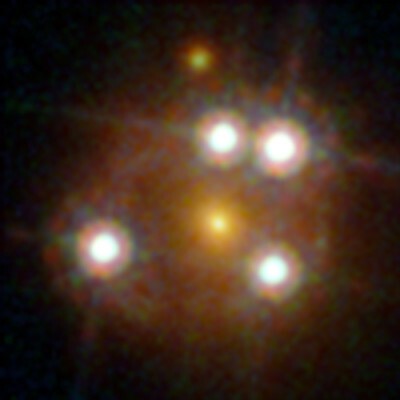 Position (Dec): -47° 23' 43.28"